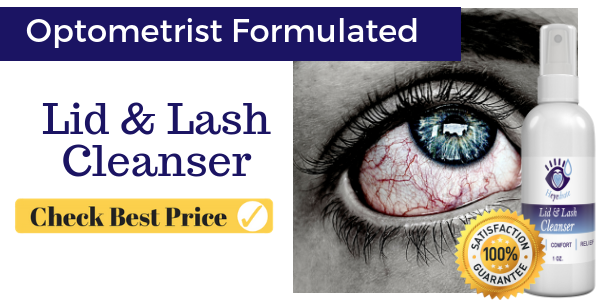 Irritation under your eyelid? 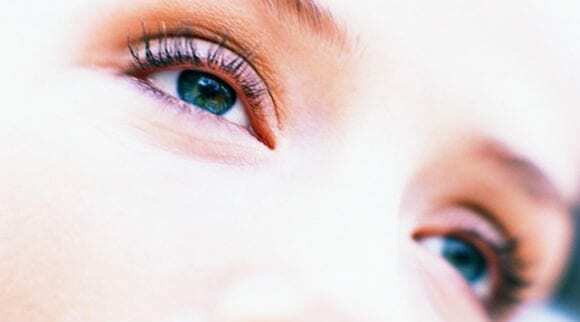 You’re in luck because there are lots of natural remedies for irritated skin around your eyes. 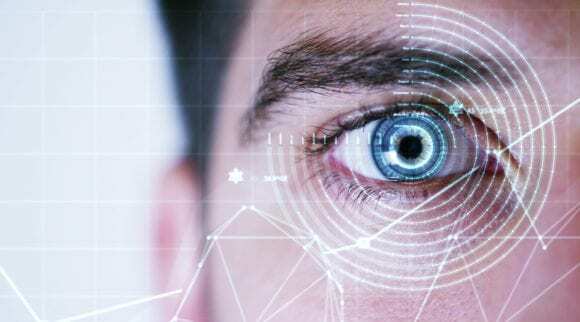 There is no denying that your eyes are some of the most delicate and sensitive organs in your body. You need to be extra cautious when treating them with any medicine or resorting to natural remedies. However, not all your ocular problems involve the eye itself. 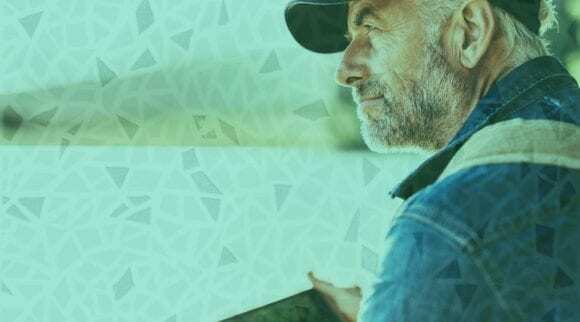 Sometimes, they begin with the eyelid and if not treated on time, they may lead to a serious eye condition that requires immediate medical help. In addition, severe irritation under your eyelid may cause loss of vision. Despite its thin and compact size, an eyelid is of paramount importance when it comes to protecting your eyes. Unfortunately, most of us take our eyelids for granted. Eyelids play a critical role in improving as well as maintaining your good vision. The eyelid comprises two skin layers (upper and lower). There is a muscle connected to the eyelid that is responsible for closing and opening the lids. Protecting your cornea by spreading tear film across the eye evenly to keep it moist, your eyelids perform a vital function for your eyes. 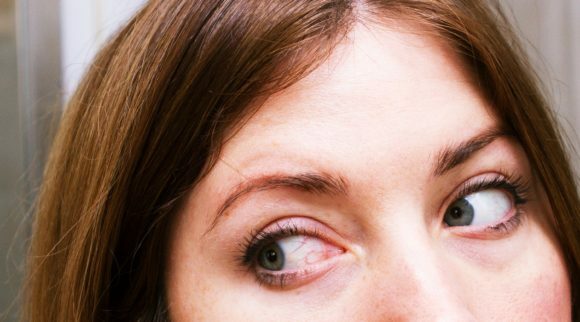 An eyelid with its thin skin is prone to a number of eyelid problems if you do not follow a good eye health regime. The most delicate part of your eye can be easily affected if you develop any kind of eye allergy or irritation under your eyelid. Not only do allergies impact your eyelid’s function but may cause significant irritation under your eyelid as well as discomfort. Your eyelids may get swollen and interrupt your day-to-day activities. 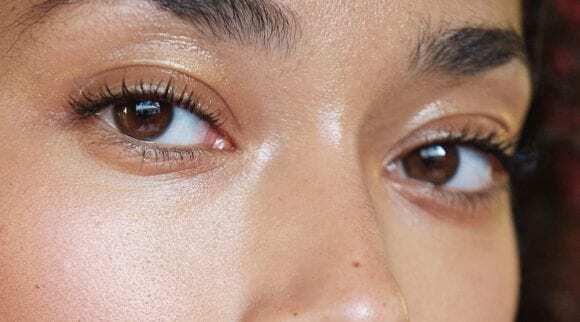 Whether you are suffering from swollen eyelids or any kind of eye allergy, knowing how you can treat them with natural remedies may help you heal faster. 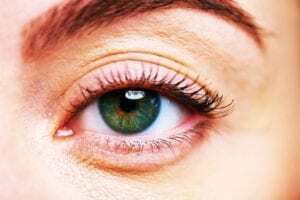 As there are several reasons for irritation under your eyelids, here we have included some common eyelid problems to help you identify the symptoms and causes. What is Eyelid Irritation or Inflammation? The most common type of eyelid irritation is eyelid inflammation that can be caused by a number of reasons. The lashes on your eyelids have curved, short hair follicles attached to the edge of your lid. Glands near these hair follicles release oil and can be easily irritated or clogged. The condition may trigger various eyelid disorders out of which irritation under your eyelids is one of the more common examples. In addition to that, the eyelid is prone to various disorders because of its complex structure and exposure to toxins and contaminants. The structure of the eyelid is extremely intricate as it is physically small and includes many skin layers, nerves, blood vessels, ligaments, and muscles. Here is a brief description of infections and disorders your eyelid is susceptible to and that you may be experiencing with irritation under your eyelid. Chalazion: A common eyelid condition, a chalazion is typically caused by blockages in the oil glands either in the lower or upper lid. Many patients tend to mistake it for a stye, but it is not only different, but more chronic than a stye. The condition is treated by surgery as topical ointments do not work. A chalazion may come on after a stye, and these are not usually inflamed, red, or painful. Ptosis: This condition refers to drooping of the upper eyelid. The treatment of this condition depends on its severity and sometimes includes surgical correction. Eyelid Tumors: These types of tumors vary from condition to condition and can turn malignant if not treated on time. The treatment of this disorder depends on the position, growth speed and size of the tumor. Eye doctors assess the malignancy of the tumor first and then remove it if needed. Ectropion: It is a condition in which the eyelid folds outwards or forward. Fortunately, the condition can be treated with a number of small treatments, ranging from surgery to eye ointments and eye drops. It will make the eyes more dry, however. Stye: An infected sebaceous gland is called a stye. This condition can cause severe irritation under your eyelid. It is indicated by a painful red eyelid. It causes a swollen bump that disappears slowly within a week or after treatment starts. Doctors usually prescribe antibiotics to treat the infection. Blepharitis: The condition refers to chronic inflammation and irritation on your eyelids. Common symptoms include excessive tearing and a burning sensation. It can cause swollen red eyes and hard crusting on your eyelid. Proper hygiene is essential to avoid the symptoms. What Can Cause Irritation Under the Eyelid? We often experience itchy eyes, particularly with allergies or eye infections. Other reasons that you may develop sore and itchy eyelids include: dry eye, blepharitis, and dermatitis. These conditions affect the ability of the eye to produce enough tears, causing itchy eyelids. Besides that, if you wear contact lenses without following proper hygiene, it will not only affect your eyes but can cause sore and itchy eyelids as well. The condition usually begins by causing inflammation inside the lining of your eyelid. This condition, however, is not serious and can be treated by lubricating both eyes and eyelids with eye drops and keeping them clean. 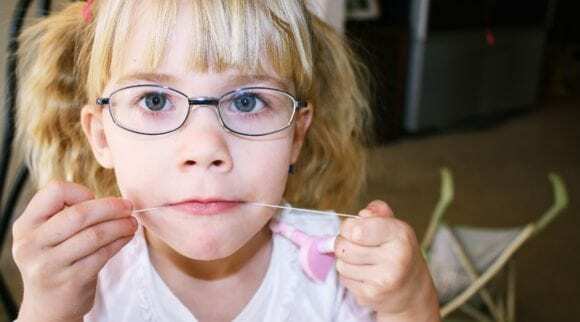 Plus, wearing lenses less frequently or changing them can also resolve the problem. Blepharitis is an eye disorder that affects all the surrounding areas of your eyes including eyelids. There are a plethora of factors that contribute to eyelid inflammation and crusty eyelashes. According to many researchers, Blepharitis is a condition that is undertreated and under-diagnosed in the world. The condition is mainly associated with common health issues, such as dry eyes, rosacea, and scalp dandruff. It is important to treat Blepharitis quickly so that it doesn’t cause additional eye health concerns. If the condition is left untreated, it may lead to eye conditions like cornea inflammation, eyelid cancer, and even vision loss. The condition can be irritating, painful, and extremely itchy. For people with sensitive skin, blepharitis can cause more severe symptoms that include inflammation in the eye tissues and blurry vision. Anterior Blepharitis: This type mostly affects the front area or outside part of your eyelid by your eyelashes. Precisely, it is a spot where eyelashes are attached to the eyes. Dandruff, mites, and bacteria, when exposed to your eyelashes, cause anterior blepharitis, along with irritation under the eyelid. This type of blepharitis is typically caused by eyebrow or scalp dandruff and staph bacteria. When your eyelid is exposed to bacteria, it tends to grow and often overreacts because of bacterial presence. Plus, poor hygiene plays an important role in developing these bacteria on the crevices and folds of your eyelids. The severe stage may cause a stinging and burning sensation around your eyelids. Eyelash mites can also lead to this eyelid disorder. Demodex infest the eyelid margin, causing redness and irritation under eyelids. Not only this, but in addition, the high density of these eyelid mites may affect your immune balance while causing various dermatological conditions. Poor hygiene is one of the major causes of anterior blepharitis that you can treat with simple remedies. It is essential to take good care of your eyelids to prevent serious conditions, like inflammation and vision loss. Posterior Blepharitis: In this condition, your inner eyelid is affected where the eye makes contact with the lid. The condition is called meibomian gland dysfunction (MGD) in which the tiny oil glands (on the margin of the eyelid) do not function properly. If the gland does not secrete enough oil due to clogged pores, your eyelids get crusty and this causes irritation and pain under the eyelid. Posterior blepharitis affects the inner, moist part of your eyelid. It is caused when oil glands in your eyelid start producing oil irregularly. This allows bacteria to grow while affecting your tear stability. Without oil, tears evaporate quickly, causing posterior blepharitis and other ocular diseases. Eyelid Dermatitis is another significant eyelid condition that causes irritation under the eyelids. This common condition affects the skin around the eyelid, making it itchy, dry and irritated. The term can also be referred to as psoriasis or eczema. If it is caused by allergens, it is called contact eyelid dermatitis. If your eyelid develops dermatitis, it may cause inflammation in the sensitive skin around your eyes. 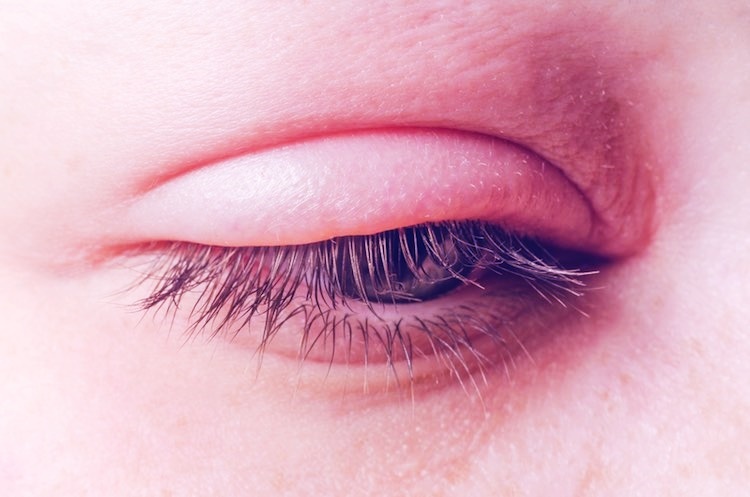 The eyelids become swollen, irritated, reddened and dry. If dermatitis persists, it thickens the eyelid over time. This process is called lichenification. Allergic contact can lead to an allergic reaction. It causes inflammation with hay fever. Cosmetic products with nickel or metal may be the cause of dermatitis. 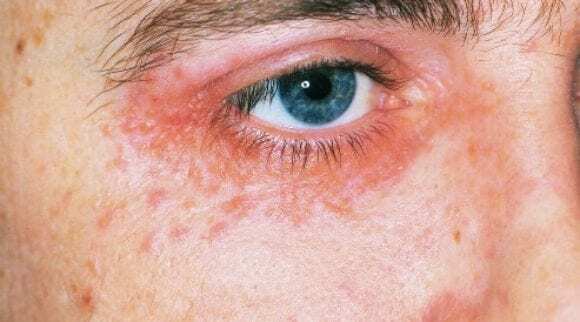 Irritant contact dermatitis is another cause of this condition in which the outer layer of the eyelid is damaged because of certain types of soaps, makeup, and detergents. Atopic dermatitis can also lead to chronic dermatitis and is specifically caused by eczema. Swollen eyelids are one of the most common conditions that you might have noticed before. Sometimes this swelling stays on your eye, making your facial features look distorted. Despite the fact that it is a common condition it causes a bit of stress and anxiety in people. It may be an indication of an eye infection; however, swollen eyelids are often not serious, and can be easily treated. That does not mean that you should not consult your eye specialist to rule out if it is a serious health problem. This is one of the most common causes of swollen eyes. These eye allergies do not only cause significant pain, irritation or discomfort but also interrupt your daily activities. Swelling and irritation under the eyelid are some of the most annoying symptoms of eye allergies. Eye allergies occur when your defense mechanism overacts to harmful allergens. Eye cells, when exposed to allergens, release histamines and various other chemicals in order to protect the eyes. The specific condition causes blood vessels to swell inside the eye. The eyes become red, watery and itchy, causing irritation under the eyelid. Pink eye is another cause of a swollen eye that causes inflammation of the conjunctiva. Present on the inner side of the eyelid, the conjunctiva is a mucous membrane that covers the eye’s white part. Bacteria, viruses, and allergies are the main causes of pink eye (known as conjunctivitis to doctors). Not only does it cause swelling under your eyelid, but also, it releases mucus that can stick the eyes together. The eyelids become red, itchy and swollen. 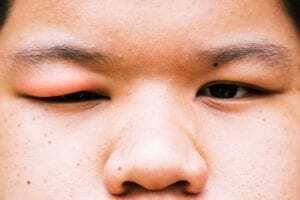 Cellulitis is included in one of the serious causes of eyelid swelling and irritation of the eyelids. There are two types: orbital cellulitis and preceptal cellulitis. Preceptal cellulitis is a result of a bacterial infection in which patients suffer from pain and eye redness in addition to swollen eyelids. The condition occurs in only one eye. Orbital cellulitis is also caused by bacterial infection but in the form of a sinus infection that spreads throughout the entire orbit. It affects all the areas around the eye socket. People suffering from this type of infection experience pain and bulging eyes, and they may have issues moving their eyes. This is a medical emergency! No matter what the cause of your swollen eyelids, it is important to seek medical help to reduce the symptoms. Swollen eyelids may lead to a severe eye disorder or intense redness. If you are experiencing the following symptoms, make sure to consult your eye doctor. Dry eyelids are another reason for irritation of the eyelids. The condition can make your eyelid rough and scaly. Like other eye disorders, same symptoms accompany this eyelid disorder that include itchiness, irritation, and redness. The skin on your eyelid is unique in terms of its structure. It is thinner as compared to other parts of your body. Plus, your eyelid is surrounded by blood vessels with a heavy blood flow around the eye. This is one of the reasons why irritants affect the eyelids and can cause infections. Cold and dry weather can cause dryness, especially if you spend a lot of time indoors. Rooms usually do not have adequate humidity which can affect your skin. Frequent face washing and hot water showers may cause extreme dryness. All of this has an impact on your eyelids and can contribute to severe conditions, like atopic dermatitis and blepharitis. This natural product comes loaded with amazing anti-inflammatory and antimicrobial effects. You can use it to prevent Demodex mites that infect your eyelids. The natural oil helps you eliminate bacteria from the surrounding skin on your eyelid. Plus, it is an easy way to soothe your flaky and dry skin as it removes dandruff. Many studies have found the benefits of using tea tree oil as an eyelid scrub. 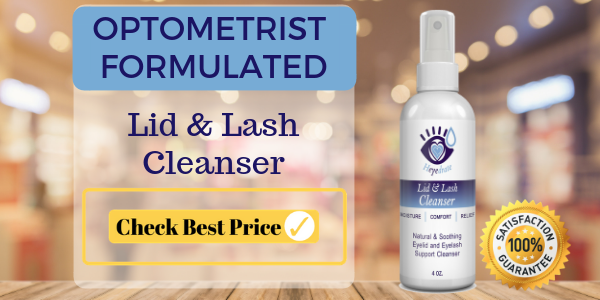 It significantly reduces the number of Demodex mites, especially if you are suffering from blepharitis or dry eye. Make sure to use a product that contains tea tree oil but is safe for use around the eyes. Never use undiluted tea tree oil near your eyes. Most eyelid conditions cause inflammation that needs to be soothed in order to remove the crust on the eyelid. 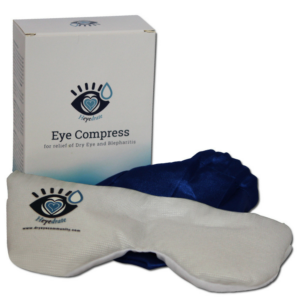 Almost all eye doctors recommend using a warm compress when it comes to treating irritation under the eyelids. Not only does it loosen the flaky crust, but also brings a lot of blood flow to your eyelid. If you have already developed an eyelid infection and are trying to get rid of it, it is important to avoid certain things that can worsen your infection. Two basic things to avoid are contact lenses and makeup, as these items may make it hard to maintain good eyelid hygiene. To put it simply, refrain from wearing excess makeup and wear glasses instead of contact lenses. Makeup products may have contaminants that can multiply the number of bacteria on your eyelid. Why is it Important to Treat Irritation Under the Eyelid? There is no doubt that swollen eyelids are not only painful, but also unattractive as well. Regardless of what the cause is, swollen eyelids result in irritation under the eyelid and can hamper your vision. If left untreated, a minor infection may become chronic, causing severe damage to your eye. That is what makes protecting your eyelid from infectious bacteria very important. Besides this, if you have somehow developed any of the above-mentioned eyelid infections, there are safe products available on the market to help you treat your eyelid irritation. It is one of the hypo-allergenic products made with organic ingredients. This all-natural product offers great support for your eyelids and skin to treat dry eyes, rosacea, acne, blepharitis and itchy eyes. The handmade soap contains raw shea butter, organic olive oil, tea tree essential oil, and organic coconut oil. The proprietary blend of all the natural oils neutralizes inflammation, kills bacteria and prevents their reproduction, while alleviating the symptoms of eyelid irritation. 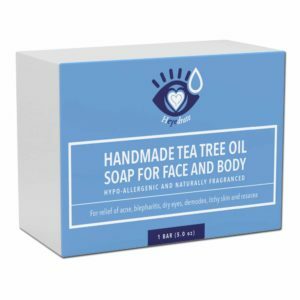 Tea tree oil face soap can be your best bet for acne and eyelid treatment to keep swollen and irritated eyelids at bay. 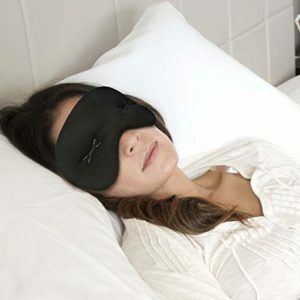 What can be better than a soft eye pillow with cold therapy for your burning eyelids? The compression mask is a perfect solution to soothe puffy and tired eyes. Plus, it provides cooling relief. Maintaining proper hygiene is crucial to prevent eyelid infections, especially itchy eyes. 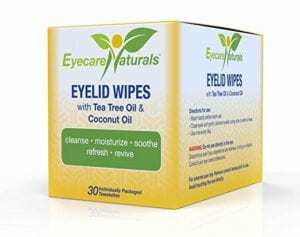 Eyelid cleansing wipes, in this regard, contain essential oils, such as tea tree oil and coconut oil. Both these natural ingredients are helpful when it comes to soothing burning and itchy eyes. Cleaning eyelids with these wipes can help you reduce the burning sensation. All you need to do is wash your hands and use the wipes to reduce itchiness and irritation under the eyelid. These easy-to-use towelettes are made from a patented formula and come loaded with natural ingredients like tea tree oil. Cliradex is often recommended by eye doctors to improve ocular hygiene. The anti-inflammatory towelettes are very effective to alleviate the symptoms of rosacea, dry eyes, demodex and blepharitis. 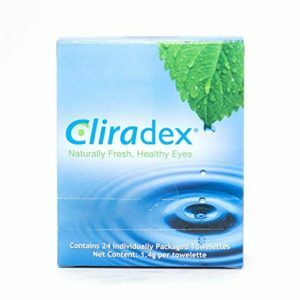 Made with natural ingredients, Cliradex Towelettes are preservative-free and you can use them as facial or eyelid cleansers. The formula uses the active ingredient 4-terpineol in tea tree oil that is effective and safe to control lid diseases. The product is a natural way to keep eyelids clean and free of infection. 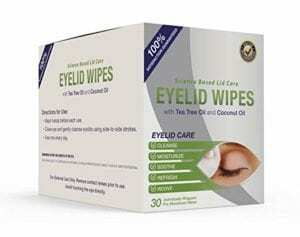 Eyecare Natural Eyelid Wipes can be a great way to get relief for your dry and itchy eyes. The wipes are an easy way to treat your irritated and dry eyelids. They have a dual function. You can use them as a daily cleanser. It perfectly removes hard-to-clean makeup and does not cause any irritation or redness on your skin. They are effective and very useful in maintaining a good beauty routine. These wipes are made of coconut and tea tree oil to moisturize your dry and itchy eyes. Without causing any burning sensation or dryness, the natural product keeps your itchy eyelids clean and bacteria free. Using one wipe a day is enough to maintain your ocular hygiene while keeping your eyes relaxed and strain-free. 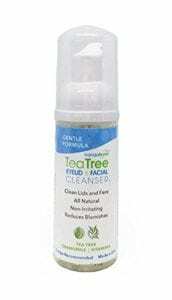 If demodex is the reason of your eyelid infection, Gentle Formulas Tea Tree Eyelid Cleanser is what you need to treat it. The facial cleanser uses non-irritating ingredients that are tremendously beneficial for cleaning eyelashes and eyelid margin. This all-natural product is great to gently remove the contaminants and dirt from your eyelids without causing any dryness to your eyes. This is an eye eco-foam that comes with 1% tea tree oil to reduce the number of demodex on your eyelids. Plus, the formula reduces blemishes and moisturizes the skin. The facial cleanser also contains shea butter and chamomile to hydrate your skin. Many ophthalmologists recommend it to edge off the symptoms of irritated eyelids, inflammation, and red eyes. Plus, it can treat dry and itchy eyes, especially if they are caused by blepharitis or demodex. 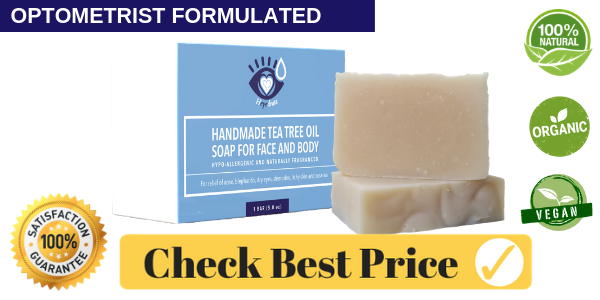 The tea tree oil in it is great to manage chronic rosacea and acne as well. All you need to do is pump the foam on your washed hands and clean the infected eyelid. Rinse with clean water. Using a warm eye compress is one of the tried and tested natural treatments you can use to relieve irritation under the eyelids. 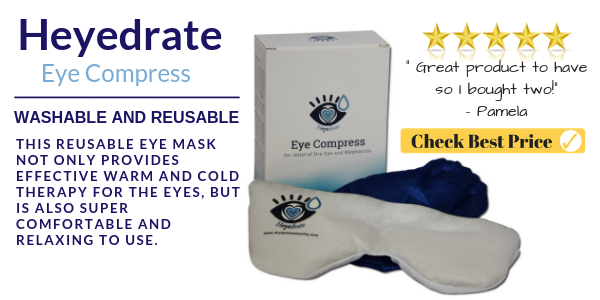 The Heyedrate Moist Eye Compress is an easy and natural way to treat your infected eyelid. It is completely safe and clinically proven to improve your ocular health. The innovative eye reliever is one-of-a-kind as you can conveniently wear it on your eyes, like spectacles. The warm mask compresses and rejuvenates your eyelids by providing moist heat. Within minutes, it relaxes your eyelids. In addition to soothing your eyes, the moist compress stabilizes the delicate tear film of your eyes. Also, it can help improve the oil gland function while slowing down tear evaporation. It is also a breeze to use. 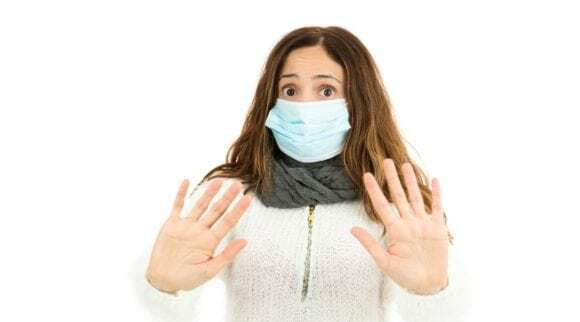 All you need to do is place the mask in the microwave for 20-30 seconds and wear it at least twice a day (make sure to test the temperature on the inside of your wrist before using). It will you help you keep your eyes lubricated and expel debris and bacteria efficiently from your eyes. 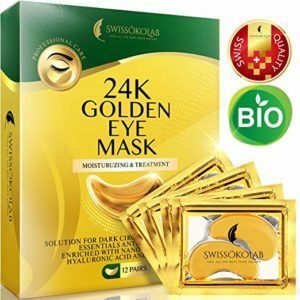 Another power-packed natural product that you can use to treat puffy eyelids is Gold Eye Mask. It comes with anti-inflammatory and anti-oxidant properties to remove contaminants and toxins from the eyelids. This mask is great to improve blood circulation around the eye area and to add a shine to your skin. The eye pads are made of natural extracts, like plant collagens, vitamin C and hyaluronic acid to maintain long-lasting hydration in your eyelids. All in all, irritation under eyelids can be a reaction to various eyelid infections. No matter the cause, it must be treated in a timely fashion. All the aforementioned products are natural and can be really helpful in soothing irritated eyelids.